A shy young Mexican woman moves to Paris to study literature. Cecilia has few friends, and a morbid fascination with watching the funerals taking place in Pere-Lachaise cemetery outside her apartment. She suddenly strikes up a close relationship with her neighbour, a sickly young man who shares her interest in death and believes we can communicate with the dead. After coming to entirely depend on him for company and routine, Cecilia is left devastated by his decision to go to Sicily for his health, and is left alone in an unfriendly city once more. Claudio, meanwhile, lives in New York with the submissive, quiet, but very wealthy Ruth. She makes few demands of him, while acquiescing to all his desires and indulging his obsessive, misogynistic nature. He meets Cecilia by chance when visiting a friend in Paris and their two very different worlds collide with transformative consequences. With startling intensity, humour and insight, Nettel conjures a dark fable about obsession, denial and our modern ability to reach out across the globe in search of love. 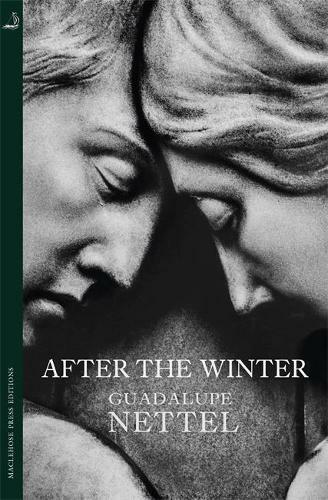 After The Winter by Guadalupe Nettel, a novel evocative of Cuba, Mexico. New York, but Paris stands out!